Crafted from solid enamel with a durable epoxy coating to the front, our range of elements badges are the ideal way to identify your students as part of a school committee, team or group. Our element badges are also ideally suited to differentiate between school houses, allowing students and staff alike to see which house a pupil belongs to quickly and easily. 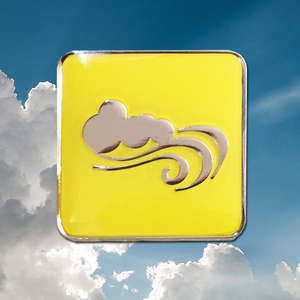 Our air element school badges are crafted in all-over yellow enamel, with a tonal silver edging. The cloud symbol is depicted in the centre of the badge in silver. 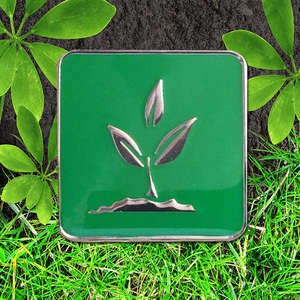 Our earth element school badges feature a silver tree and leaf symbol, crafted in silver on an all-over green background. A matching silver edging completes the badge design. 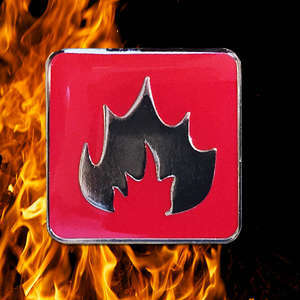 Crafted in striking all-over red, our fire element badges feature a flame symbol in tonal silver, with a matching silver edging around the badge. 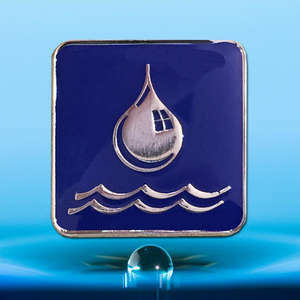 Our water element school badges feature a blue background and silver edging, with a tonal silver water droplet and wave design. Each element school badge is square in design, measures 20mm in diameter and fastens with a secure butterfly clasp to the rear, ensuring it won’t fall off throughout the school day. 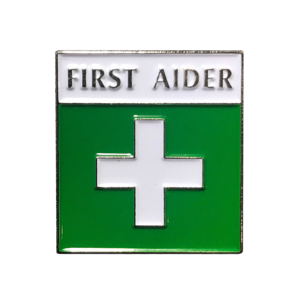 Our First Aider badges are 25mm square with green and white enamel on a silver nickel finish. With a safety pin attachment to the rear. If you place your school badge order before 1pm and your items are in stock, we will dispatch them on the same working day. If you spend over £100, we will deliver your order for free. Either order online or over the telephone and pay via school purchase order, Paypal, debit card or credit card. Simply choose the payment method you prefer when you place your order. If you wish to discuss our extensive range of school badges or need assistance with your order, simply get in touch and we’ll be happy to assist you.